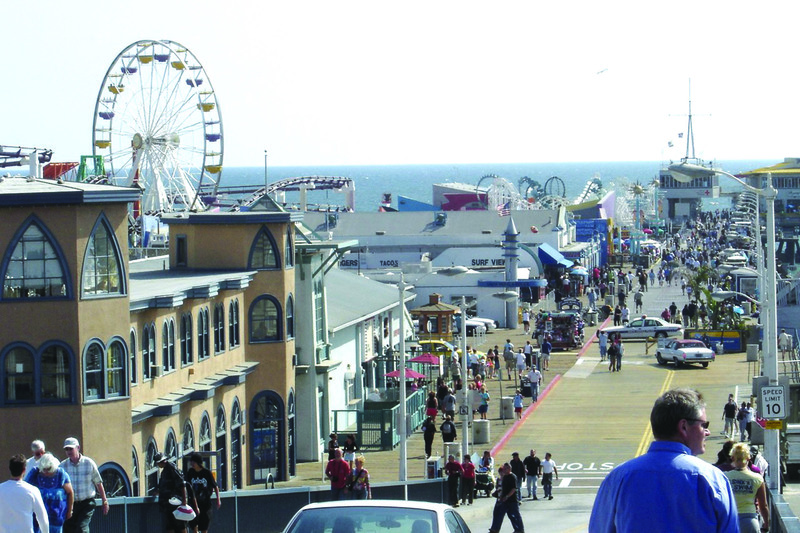 The restored Santa Monica Pier is an iconic symbol of the city and a major tourist attraction. Santa Monica (population 84,084) was founded in 1875 as the terminus of a proposed railroad system to link the mines of Colorado and Nevada with the Pacific Ocean. When the railroad idea proved unsuccessful, the city reinvented itself as a resort community. A series of pleasure piers were constructed, including the present Santa Monica Pier, which was completed in 1916. In the 1920s, Santa Monica became a favorite resort for members of the burgeoning movie industry, with opulent homes built for movie stars by prominent architects and staff from the movie studios’ art departments. Architecturally, the city evolved with an exciting mix of typically Southern California styles, including Craftsman, Mission Revival, and Spanish Colonial Revival. In 1973, the Santa Monica Pier was threatened with demolition, and this potential loss catalyzed a new preservation ethic in the community and led to the creation of a landmarks commission and ordinance. Since then, the city has designated more than 50 historic landmarks and two historic districts, and approximately 1,300 potential historic properties have been inventoried. The Santa Monica Pier has been restored and is being managed as an iconic symbol of the city and a major tourist attraction. 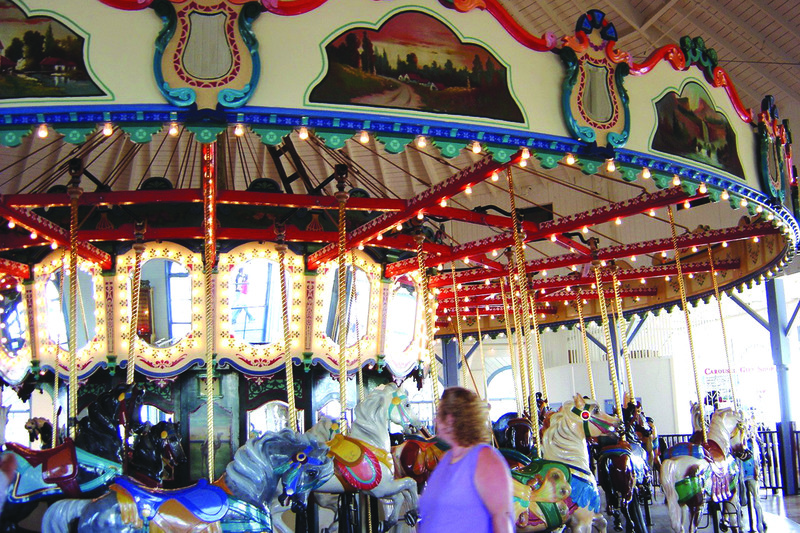 During the past several years, the historic Looff Carousel has been enhanced, new public information signs highlighting the pier’s history have been installed, and new entertainment programs have been instituted. The pier’s revitalization has also stimulated the economic vitality of the surrounding oceanfront area and the city’s downtown. The pier and other historic resources are highlighted in a recently published walking tour guide.